Come September, operators start swapping out peaches and berries for apples and other fall fruits. 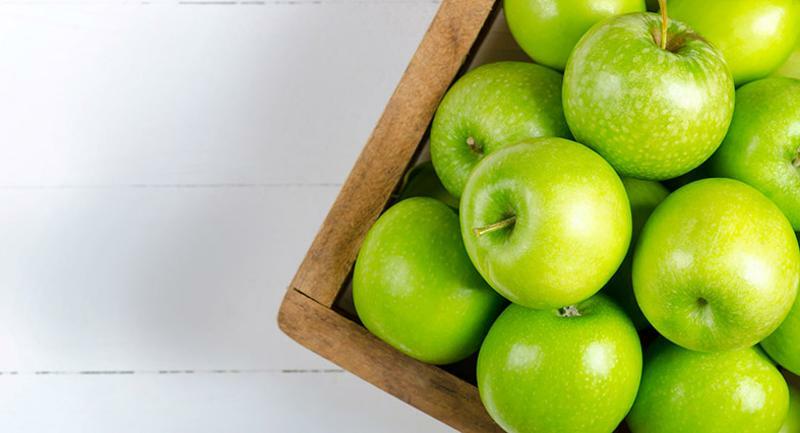 Apples are adaptable to every menu part, from breakfast favorites to sandwiches, appetizers, salads, sides, entrees and, of course, desserts. Check out these five recipes for inspiration. 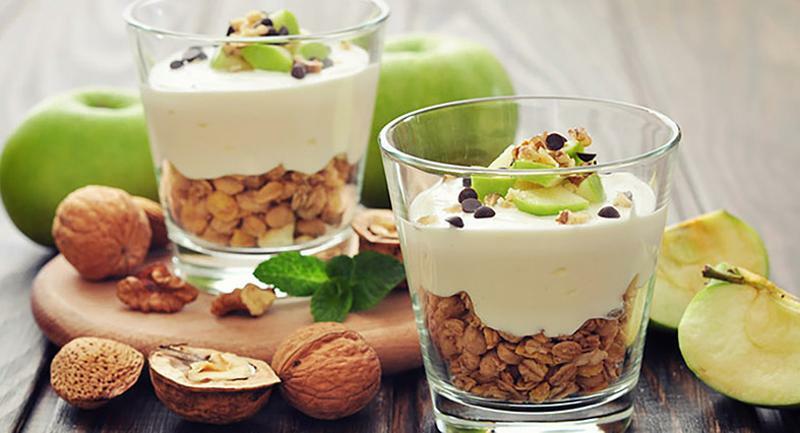 Although this parfait was developed as a breakfast offering at West Virginia University, it can easily double as a snack or dessert. It’s one of the Mindful by Sodexo recipes that aim to balance nutrition with enticing flavors to offer a more indulgent way to enjoy healthy eating. Burger-bored customers may appreciate a seasonal condiment on the same old patty. 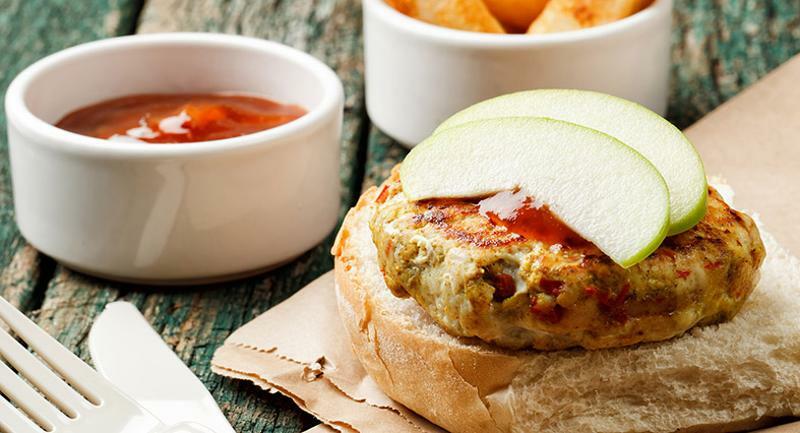 Chef Sanford D'Amato differentiates a turkey burger with a topping of sauteed apples and cranberries. Asiago cheese complements the fruity topping with another layer of flavor for a cheeseburger that will excite guests this fall. Pubbelly’s menu is a fusion of Latin American and Asian flavors, but chef Jose Mendin leans in a Mexican direction with this dish. The carnitas start with boneless pork shoulder that’s soaked in a spiced citrus marinade, then oven-braised until tender. 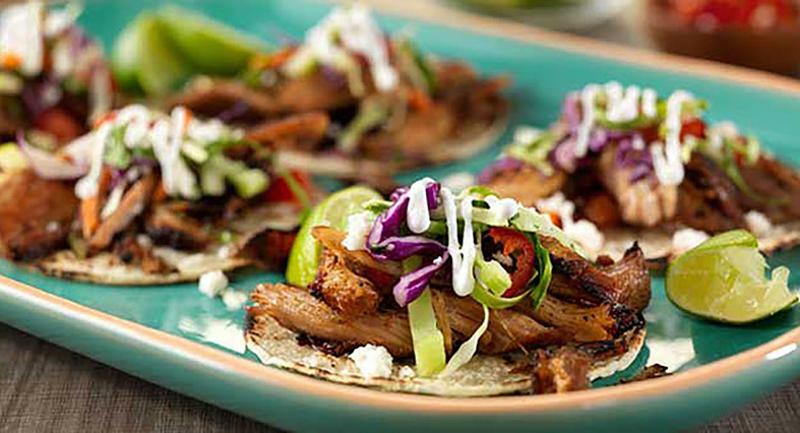 The cooked pork is shredded and sauteed until crisp, then piled into corn tortillas. Housemade green apple slaw provides a refreshing contrast to the carnitas. Kelly Franz, chef de cuisine at Magnolias in Charleston, S.C., creates a regional American Southern soup that can be served as an appetizer or first course. 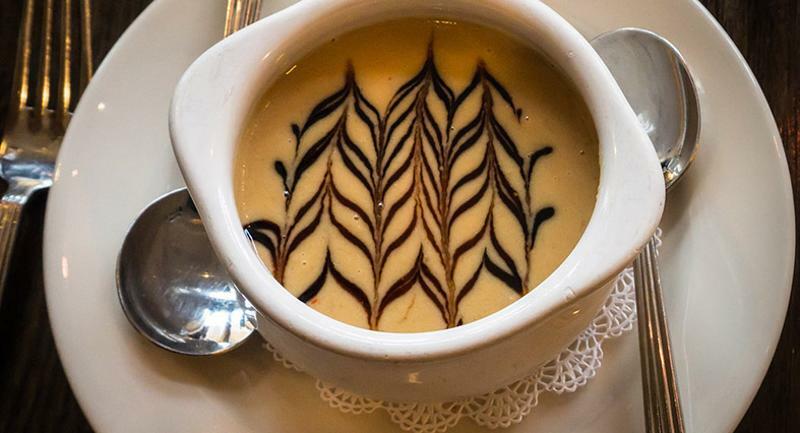 The bisque is a blend of parsnips pureed with cream, apple cider and savory spices, then dressed up with housemade apple butter. 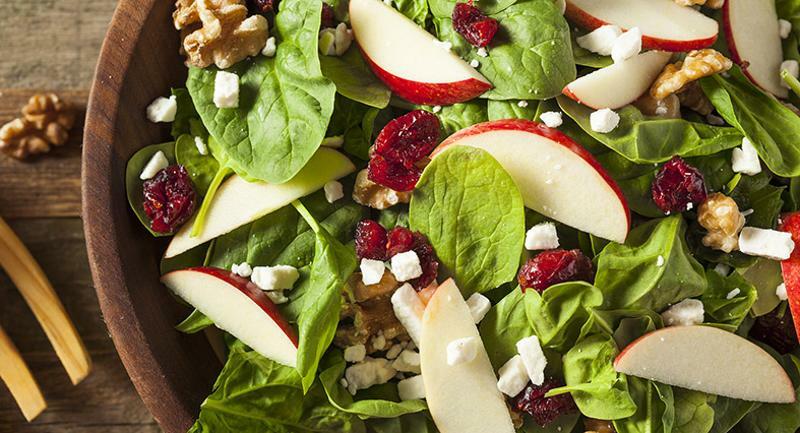 Chef John Graziano balances the sweetness of apples and honey with peppery arugula in this salad. Blue cheese adds a salty creaminess and the toasted walnuts bring a nice crunch for a contrast of flavors and textures.